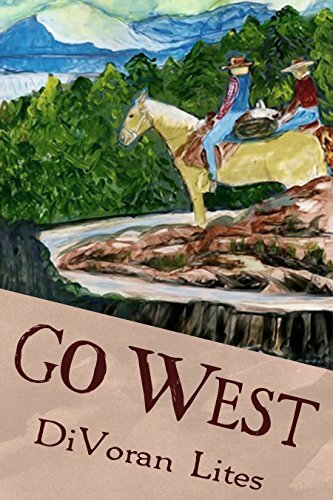 Onisha saw my post on Facebook about my new novel, Go West and said I should use it as my post for today. I am busy this week with a virtual blog tour. More on that on Thursday or you can hop over to Rebekah Lyn Books to get in on the tour and giveaway. Here’s the picture on the back of my new novel, Go West. This is Bill’s cowboy hat, everyone in the family has worn it at one time or another. In this case it represents my “sweet” Historical Western Romance. I loved writing the book. You can get it from Amazon. I hope you’ll love reading it. DIvoran, you are such a talented lady! God bless! The hat is a family treasure. So many memories of those who wore it.